All you need is love – and romantic let-down curls! Soft, wavy curls are definitely a hairstyle to try out for your wedding day if you’d like a ‘less is more’ approach. Waves are also timelessly beautiful and there’s no doubt they will be in vogue any time of year. Whimsical, elegant or glamorous, this look can be suit all wedding styles. There is something unfussy and elegant about them, allowing your wedding dress to play centre-stage on your big day. Since few brides have hair that naturally falls in soft waves, I’ve pulled together several different ways brides can create this look with these fabulous wedding hair tutorials. One way to achieve this undone look is to use a big-barrel curling iron or a curling wand. If your day has a bohemian vibe, a curling wand will create sultry beach waves easily. My go-to tip for using a curling iron or wand: make sure every curl is done in the same direction. 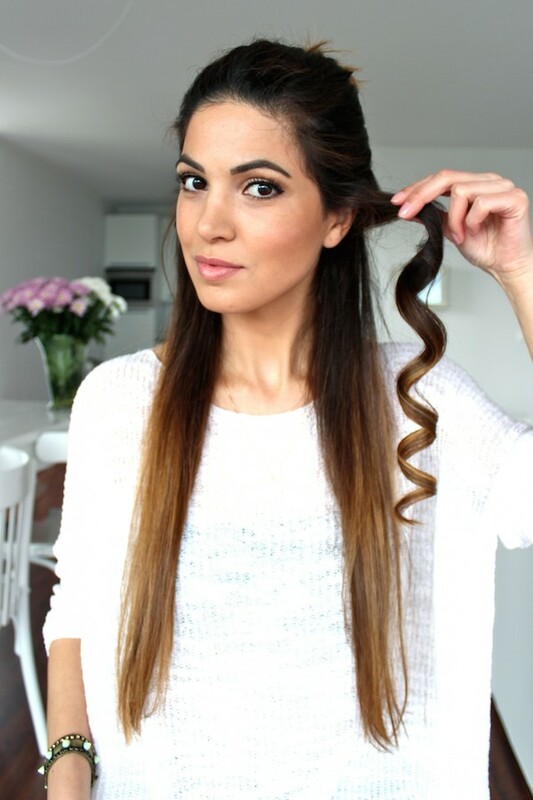 Head over to Negin Mirsalehi to see how she achieves her gorgeous soft bouncy curls! Brides looking for a more structured wave should make hot rollers their new best friend. Hot rollers offer more volume than a curling wand and I also love that brides have a few moments to sip their champagne while the rollers do their magic. Want to see this in action? Head over to Camilla Styles to see more! 1. Accent this simple stylish look with a jewelled headpiece or amp up the sophistication with a veil. 2. Remember to use a heat protector or hairspray, making sure to avoid overdoing it and your hair ending up over-processed— aim to keep those waves soft and flowing! 3. If you find the curls are looking too structured for your liking, brush them out with a natural bristled brush to achieve the perfect wave. If you’re looking for the perfect piece to pair with your undone waves, visit the Percy Handmade 2015 collection here.